Our gold mini cards are the perfect way to send some Christmas wishes! 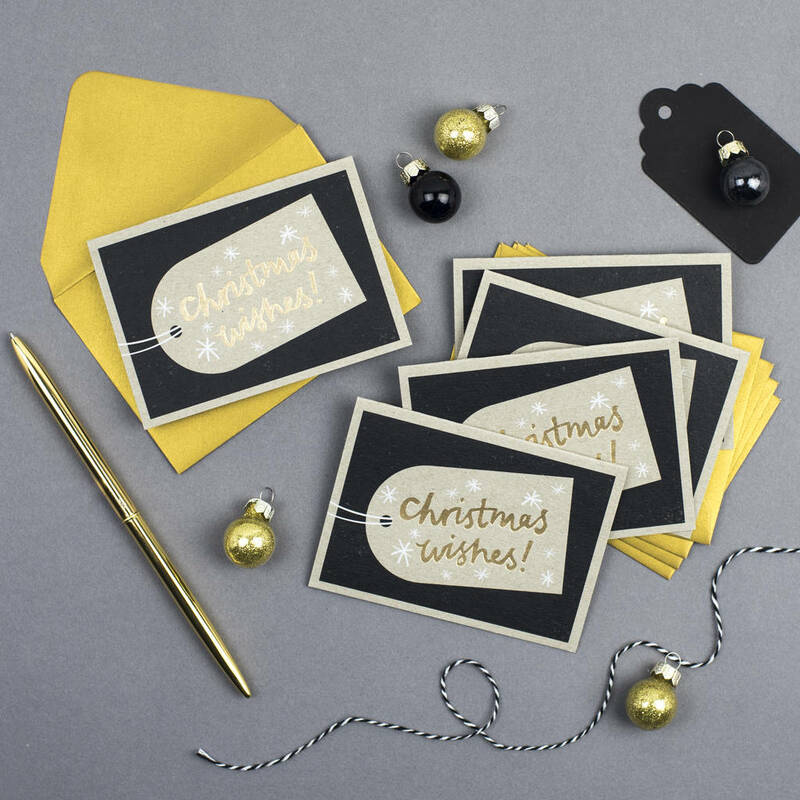 Designed and printed in the UK onto 100% recycled grey card and finished with satin gold foil. Packaged in a clear presentation box with 5 shimmery gold envelopes.